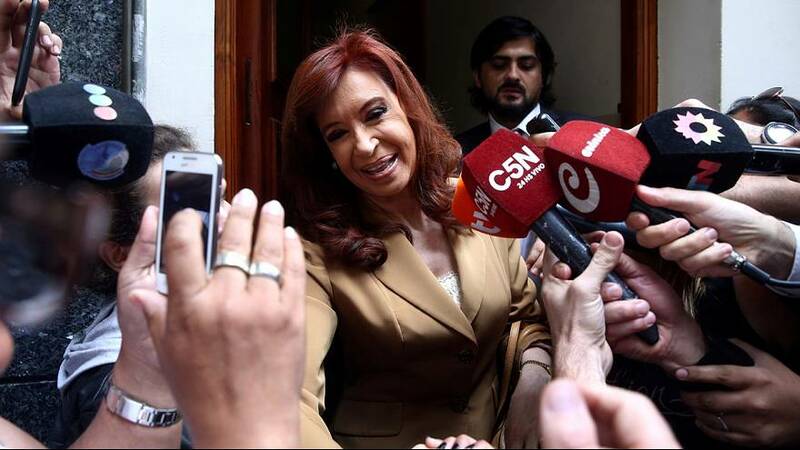 The former president of Argentina Cristina Fernandez has testified in a federal court in a corruption case. Hundreds of supporters turned out to greet her, cheering as she declared that accusations against her are politically motivated. This as the current president told reporters the government would not interfere with the process of justice. Mauricio Macri said: “The justice system has to act independently, we don’t get ourselves involved. “We think that’s the Argentina all of us really want to have, an Argentina that seriously respects democracy and democracy means there are independent powers. Fernandez was called to testify by a judge investigating claims of a corruption ring that favoured certain companies in the awarding of contracts for public works projects. The former leader denies any wrongdoing. Other former officials, including an ex-minister, are also expected to be called to testify.